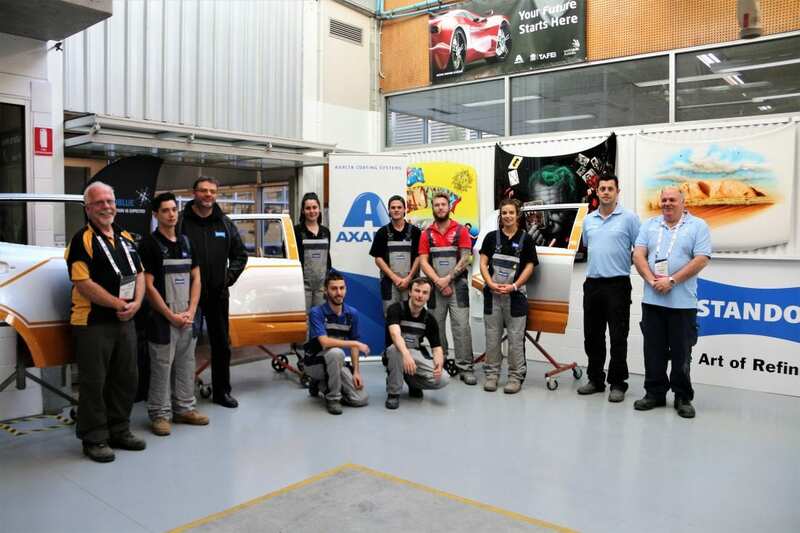 Axalta Coating Systems congratulates the seven men and women who showed exemplary drive and determination at Australia’s largest vocational education competition, the 2018 WorldSkills National Championship for Vehicle Painting. The competition was held at Skills Show Australia 2018, from 2 – 4 June at Ultimo TAFE in Sydney, with Kaine Corpuz from Queensland being crowned the best vehicle painter in Australia. As Gold Partner and long-term supporter of WorldSkills Australia, Axalta has been fully focused on supporting each competitor’s journey to become the best vehicle refinisher in Australia. From organising regionals, providing one-on-one training on the latest refinishing techniques, Axalta has been there every step of the way, pushing competitors to their technical and professional limit. In June competitors Aidan Hasler, Lional Stapleton, Maxine Colligan, Kaine Corpuz, Luke Alexander, Amber Gabelich and Kyle Little took on the greatest challenge of their lives at the WorldSkills National Championship. They all demonstrated extreme calm under very challenging conditions. And, despite the strict marking criteria for each module, the competitors were all able to complete each stage successfully, showcasing their mastery in refinishing, from spot repairs right through to the intricate panel design work, including colour matching accuracy.